A windy weekend which looks like affecting flying I’m afraid. There will be some local flying to be found, but I think you will have to be lucky. 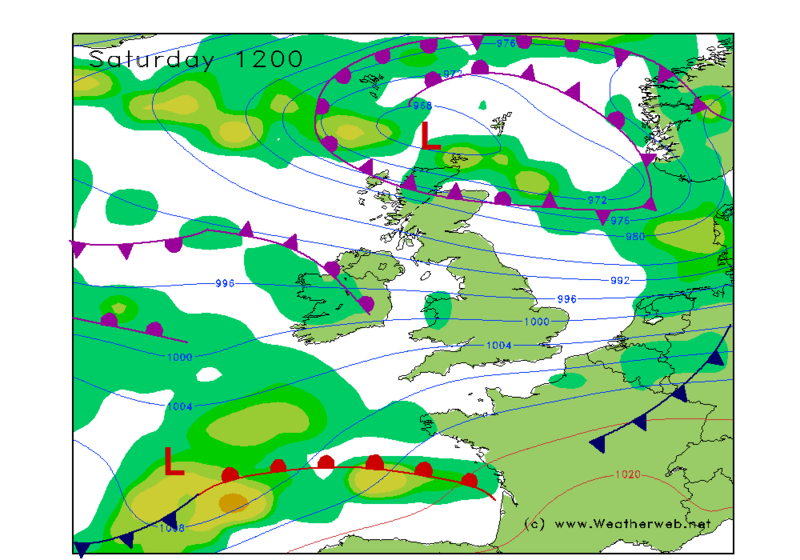 An area of low pressure will be to the north of Scotland on Saturday. This has severe gale force winds surrounding it, extending into northern England and East Anglia. The winds should ease into the afternoon, although stay strongest in northern Scotland. An occluded front is also wrapped around the low and this will be bringing cloud and rain into northern and central Scotland, increasingly turning to snow on hills. Some showers in western areas, but brighter skies elsewhere with some sunny spells. It stays breezy throughout. Showers affecting much of western and central Ireland. Increasing cloud and rain into southern Ireland and southwest England later as fronts approach from the Atlantic. Winds W 35-50kt (F8-F10) and gusting higher than this across parts of Scotland and northern England, W 25-35kt (F7-F8) in southern England, speeds easing into the afternoon for many. 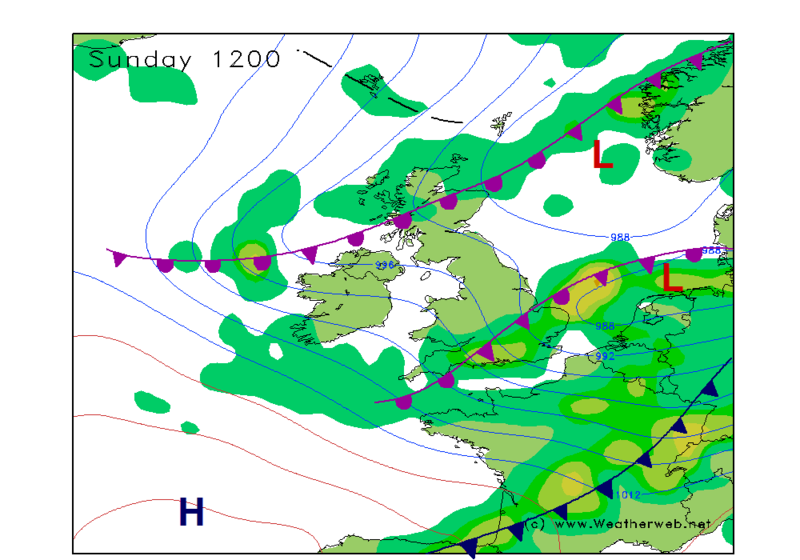 An area of low pressure passes through southern England and Wales overnight. This brings rain, some heavy with snow on hills. Windy weather to the south of the low, gales are likely. Sunday sees more periods of rain across much of England and Wales at first, this then passing into southern England in the afternoon. Brighter and colder weather reaches more northern areas with sunny spells forming, these moving slowly south during the dat. An occluded front in northern Scotland brings cloud and wintry spells of precipitation. There will be snow on hills. The rain and sleet reaching northern Ireland in the afternoon, otherwise much of the island of Ireland will be bright but breezy. Winds W 30-40kt (F7-F8) in the south at first, then W-NW 22-35kt (F6-F8). Lighter winds in southern Scotland but N-NE 28-35k (F7-F8) in the north.